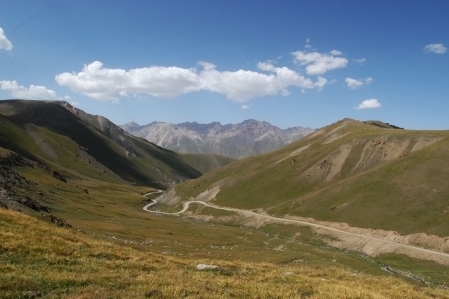 The Kalmak-Ashuu pass (3,446 m) is one of four passes that lead up to the Son-Kul lake. 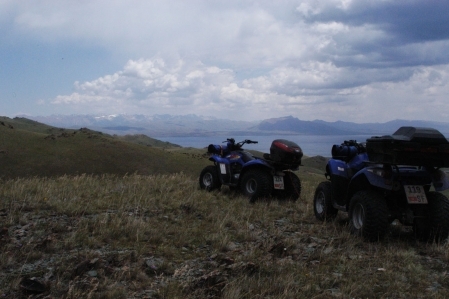 The Son-Kul is a Lake at about 3,016 meters above sea level. 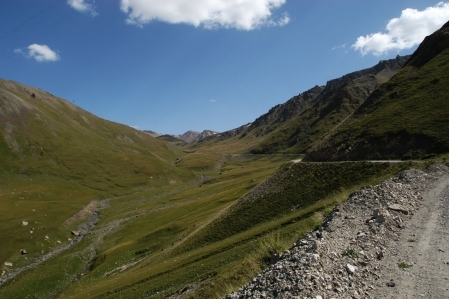 Each of the individual pass roads has its own characteristics and has magnificent panoramic views. The other three passes are the Terskey Torpok Ashuu pass (3,132 m), Moldo Ashuu pass (3,346 m) and Kara-Keche Ashuu pass (3.384 m). At the Pass is almost a huge yak herd. But be careful, the yaks are very shy and which is not to be trifled. An adult Yak bull can reach the size of a buffalo.